Urbanmonks Thinktank founder Douglas Krisch displays some of his books, with Urbanmonks author John Francis Mcill in the background. What we call anxiety and depression have existed for many generations. 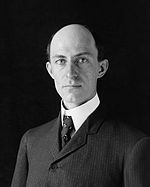 Though we’ve used different words and applied different forms of treatment, one thing has remained constant: we have primarily diagnosed and treated the individual.
. . . Today, tens of millions of Americans struggle with anxiety and depression. We continue to focus on healing the individual, which is essential and life-saving work. But when anxiety and depression have become common parts to all our families and communities, we must step back and examine the system, the culture. The Urbanmonks Thinktank proposes that we, in the face of widespread anxiety and depression, must shift our approach from solely diagnosing and treating the individual to concurrently diagnosing and treating the culture. I am a life-long learner and life-long teacher. Working with plants and bees grounds me. Producing books and selling them on the streets excites me. Any day I have connected with others feels like a day well-lived. At Union Square, Douglas further explained his commitment to promoting emotional health in our society. He is doing so in part by writing and publishing short books that educate us about wisdom, reflection, and community, and then selling them via his Manhattan streetcart and online. I ended up buying a bunch of them, including The Weather of the Mind (2015), book 1 of the “Urbanmonks Wisdom Curriculum.” He also is forming a small team of compatriots to work together on various projects. 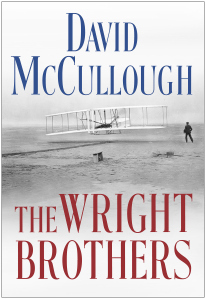 It made my day to talk with Douglas and John Francis Mcgill, an Urbanmonks author. You can’t go wrong when you connect with good people who want to create an emotionally healthier world. I look forward to watching how the Urbanmonks Thinktank continues to unfold. When Tess Vigeland, the former host of public radio’s “Marketplace,” came home from work and cried in her backyard for three hours, she knew it was time to leave her job. “I decided I couldn’t take it anymore and I felt like I deserved better,” says Vigeland, who turned in her notice the following week. “I did some back-of-the-napkin calculations with my husband and we figured his salary could pay the mortgage with me not working at all,” she says. In addition, she planned to take on freelance work so her income would not go to zero. “I also knew I had a large retirement account that I could tap into if I had to, and home equity,” she adds. Okay, here’s one of the issues I have with so much of the midlife “quit lit,” i.e., the quit-your-job-and-live-your-dream-type books and articles based at least in part on an author’s personal experience. I’ve looked at a lot of these writings, and almost invariably the Dream Chasers have financial resources from a supportive spouse, partner, or family and/or have a good chunk of savings that can be tapped to ease a likely income drop, at least temporarily. More than a few have strong networking connections as well, including some in pretty high places. I don’t begrudge people who have those options — I’ve encouraged some friends to consider that very avenue — but in reality many folks, because of limited incomes and savings, kids and other dependents, single status, etc., find the hopes inflated by this type of book/article title quickly deflated when they realize that the author had a cushion of financial support and cash. I find similar dynamics when it comes to “encore” careers, a term used to describe experienced professionals who decide to step off of a demanding, if highly paid, treadmill to pursue work that is more soul satisfying and contributing to the community. 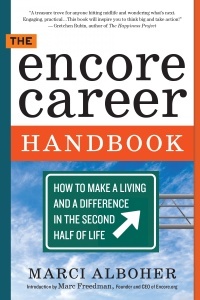 There’s even a popular website and book devoted to encore careers. Yes, encore careers can be great for those who have the financial resources to sustain them. However, most people in their 40s and 50s, especially, happen to be in their potentially strongest earning years. The pursuit of Something Very Different in the heart of midlife typically should not be done on a whim. I’m not saying Don’t do it. Rather, I’m urging that the strong emotions driving such considerations be complemented by dispassionate assessment and planning. Some loyal readers may feel like they’re hearing a mixed message from me. 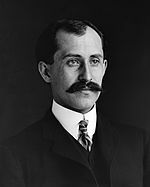 After all, for those in toxic work environments, I’ve suggested that an exit strategy may be the most viable option when health and psyche are deteriorating. And I’ve also recommended sites like Encore.org for those seeking to make significant career transitions. Furthermore, there are people who, against more “rational” assessments, took that risky leap without a parachute and landed on their feet. Some have enjoyed remarkable success in their transitions. First, do you have an avocation that has income-producing potential? An avocation is typically a labor of love, so you know the passion is there. A next question to ask is whether you can grow it into a steady income stream. Second, how about taking something you really want to do and starting it as a part-time micro-business? 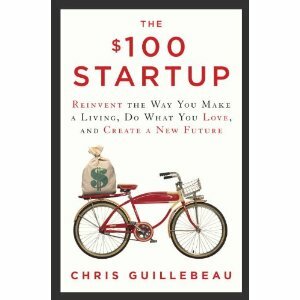 Chris Guillebeau’s The $100 Startup has a Millennial generation audience in mind, but it contains inspiration, insight, and information for anyone considering a lower-risk road to entrepreneurship. Third, do you need additional training or schooling? Formal degree and certification programs tend to be expensive, but low cost or free adult and independent learning opportunities abound. You might, for example, go to a local SCORE workshop on starting a business, or take an online course or two through educational content providers such as Coursera, Udemy, and EdX. 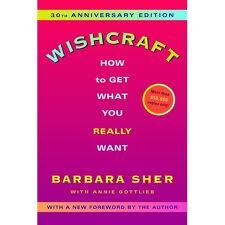 Fourth, might it help to work with a really good career or life coach to help you plot your way through all this? A wise voice who asks the right questions and helps you to make and stick to plans and identify priorities can be very helpful. 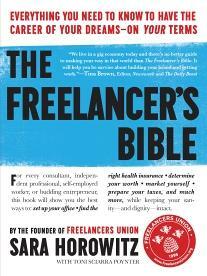 Finally, if your potential plans include going out as a freelancer, you might want to take a look at Sara Horowitz’s The Freelancer’s Bible for some of the business details you’ll need to address. The term go for it has a lot of emotional power, especially if you’re in a less-than-wonderful work situation and considering alternatives that sound freeing and exciting. Pursuing your passions is good, life-affirming stuff. But it’s often helpful if you do so with research, planning, and assessment to help prime a path to success. Chris Guillebeau is a prolific writer, entrepreneur, and global sojourner who is playing a lead role in encouraging people — Gen Xers and Millennials especially — to think creatively and independently about what to do with their lives. One of his recommended life-planning activities is to do your own annual review as the year comes to a close. 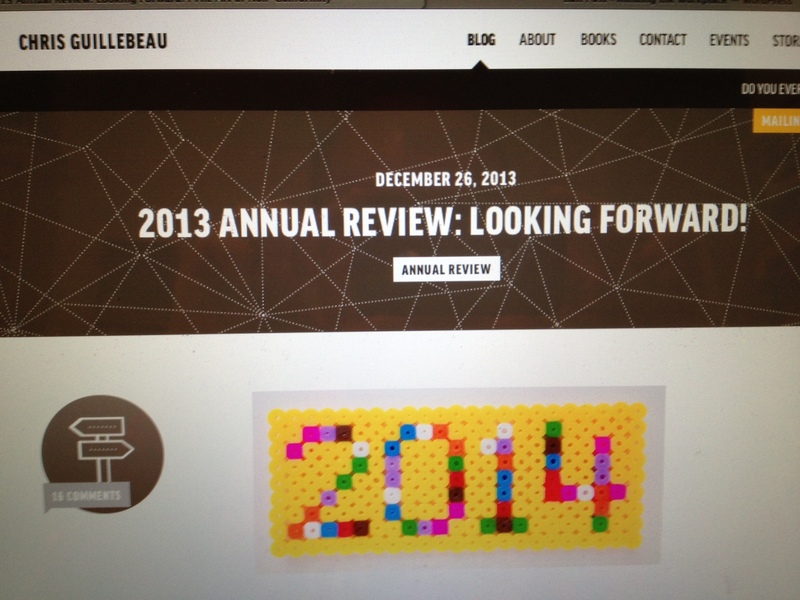 Using his blog, he shares his annual reviews with readers and asks for their feedback. Every year in December, I go away for a week and spend time reflecting on the year that’s drawing to a close, and then (and more importantly) make a lot of plans for the next year. 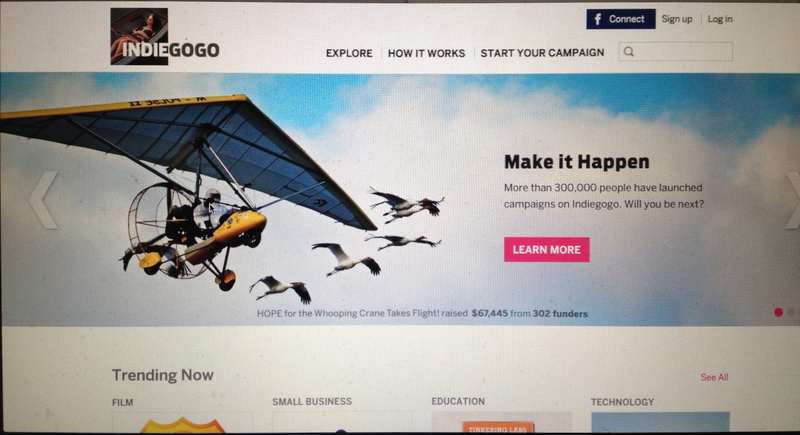 I’ve been sharing this process online since 2008, and many of our readers take part in it too. This is a free exercise and you can do it in your own way. …Since I’ve been following this practice, it’s been the single most important ritual in ensuring I achieve meaningful and challenging goals. In contrast to employer-provided performance reviews, which even Business Week has tagged a “worthless” corporate practice, the DIY annual review is, well, largely self-generated and self-directed. If, like Chris, you want feedback from others as part of your review process, it’s up to you do solicit it. In one of my early references to Chris’s work, I praised his first book, The Art of Non-Conformity: Set Your Own Rules, Live the Life You Want, and Change the World (2010), while adding that it suffered “from a touch of youthful arrogance.” Yikers! Well…today I’d change my words, suggesting that he writes with a (comparatively) youthful confidence that manages to convey both boldness and intelligence. If, at times, I feel a tad uncomfortable with the confidence Chris exudes, it may be due to the fact that I — at middle age — feel less certain about some things that I was completely convinced of back in my 30s. But that’s about me, not anyone else! In any event, I like the idea of a personal annual review as a centering and planning exercise. I haven’t decided whether I’ll do it at the end of this year of at the conclusion of the academic year next May, but I’m sold on giving this a try. “Bullying is part of the spectrum of abusive behaviors that exist in this world. I know about child abuse, child neglect, sexual abuse, domestic violence, substance abuse, and now adult abuse at work. They all work together to create many, if not most, of the health and mental health problems we have,” said Greg Sorozan. Greg is President of SEIU/NAGE Local 282 and Massachusetts State Coordinator of The Healthy Workplace Bill, working to prevent bullying in the workplace. I read about his work in a Boston Globe article and his MA legislative activity and asked to interview him about his work as a patient activist. For those entering the workforce, typical top-of-mind issues include opportunities for growth, benefits, and job security — but nearly half of those entering the nursing profession voice another concern: being bullied by colleagues. According to a just-released Kaplan survey of over 2,000 nursing school graduates from the class of 2014, 48% say they are concerned about being the victims of workplace bullying or working in a hostile working environment. The survey also found that 39% personally knew nurses who were victims of workplace bullying or a hostile working environment. …It didn’t take long for the client to become unpleasant. It started out with small things; deadlines that seemed unreasonable, unsubtle demands to work overtime, a tendency to ignore boundaries. I would send emails that got no response, only to get chewed out days later for not following policy. When I forwarded emails that exonerated me… no reply. They kept giving me more and more work, including assignments I was painfully unqualified for. Then I found out how much money they were charging THEIR clients for my services, while claiming I possessed certain certifications… that I didn’t. I was making about 10% of what they were charging. Their language got increasingly harsh – with me, with everybody.